I received an apparent scam letter in the mail from StockFood America Inc. signed by the President/COO, Pete Eising, essentially accusing me of infringing their copyright. Stockfood sells stock photography images of food. The crooked text within each page indicates the likelihood it is a form letter. Conceivably, hundreds or thousands of these letters could be sent each week by an unscrupulous operator. The "image" they are accusing me of using is a 60 x 63 pixel navigation icon, part of a web design template I purchased a number of years ago. The company we purchased the web design template from included the image in their product, and nothing in their license says anything about not being able to use included images. 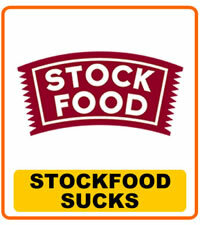 It seems to me that StockFood is simply scanning the internet in search of these templates and then threatening the site owner with a lawsuit if they do not pay StockFood $1,000.